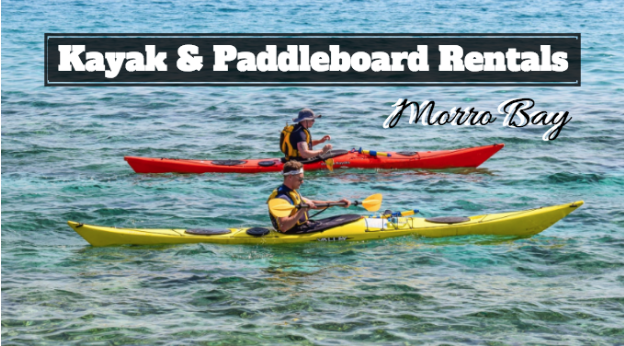 A kayak and paddleboard rental Morro Bay experience is something that you must try if you love the outdoors. Morro Bay is a beautiful area that is an entirely different experience when you’re in the water. Lucky for you, there are kayak and paddle boarding rental companies that are happy to get you started. Stay at an inn morro bay, and be close to all the adventures Morro Bay has to offer. At Kayak Horizons, you can find kayak rentals for the whole family. There are also paddleboard rentals available if you wish to paddle board instead. From first time users to those who are more seasons, the company rents out to everyone and gets you ready to explore beautiful Morro Bay. There are no reservations, and all rentals are done on a first come first served basis. However, there are plenty of rentals available, so they only very seldom run out. You’ll find Kayak Horizons located at 551 Embarcadero, Morro Bay, CA 93442. If you want to get out onto the water, stop by Morro Bay Kayak Shack. Here, you’ll be able to rent kayaks, canoes, paddle boards and they also offer guided tours of the area! Guided tours will allow you to explore the marina, the inlet of Morro Bay and see all the beautiful wildlife that the city has to offer. Winter hours take place Labor Day - Memorial Day and renting is available Friday, Saturday and Sunday from 9 am - 4 pm. Visit the website for more information. Stop by Rock Kayak Co., and you’ll be met by a friendly and trained employee who will be sure to select all the proper equipment that is necessary for what you want to do. Additionally, the company prides itself on being wheelchair accessible as they believe everyone deserves to experience the joy of kayaking. Guides are also available to explain the local history and provide information on the wildlife of the area. Rentals start at just $14.